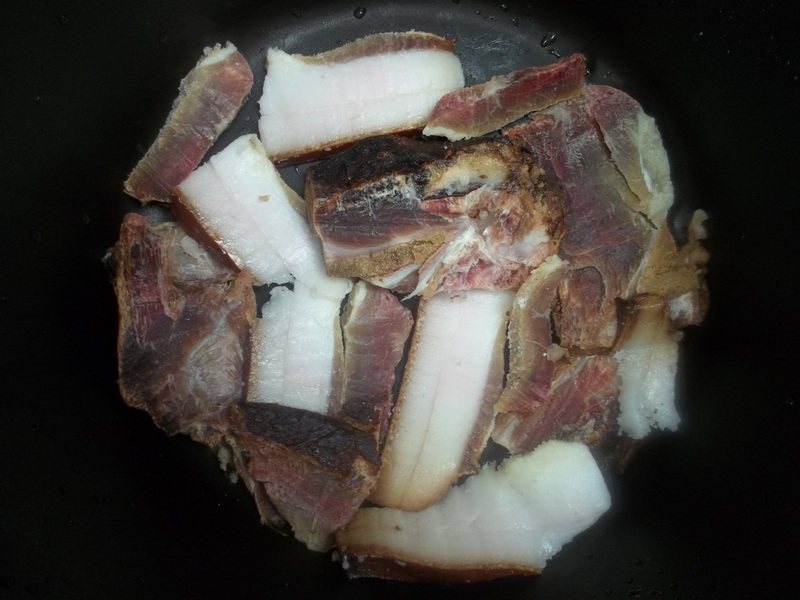 In this family recipe from Georgia’s Racha region we show how to make a delicious bacon meal. 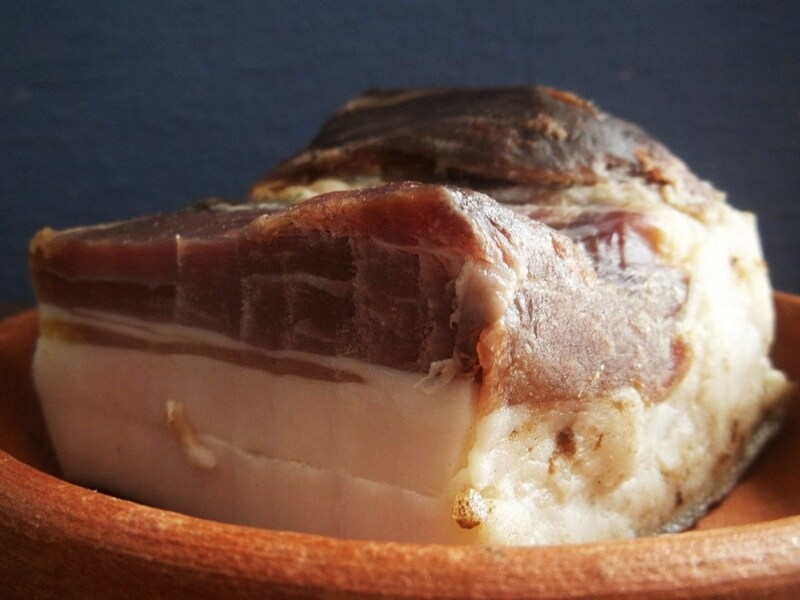 It is made with the famous Rachuli bacon from Racha but any good quality smoked, fatty bacon can be used. Ingredients: 300 grams of smoked, fatty bacon. We used Rachuli bacon from Georgia’s Racha region. 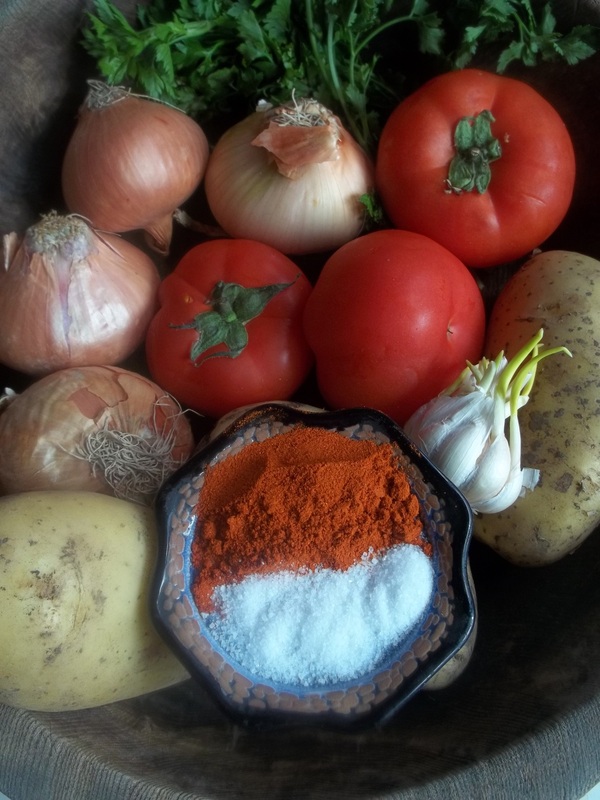 Other ingredients: 5 onions, 3 juicy tomatoes, 5 cloves of garlic, 500 grams of potatoes, 1 tbs of hot red pepper, 300 ml of water, 20 grams of parsley, and salt (amount dependent upon personal preference). 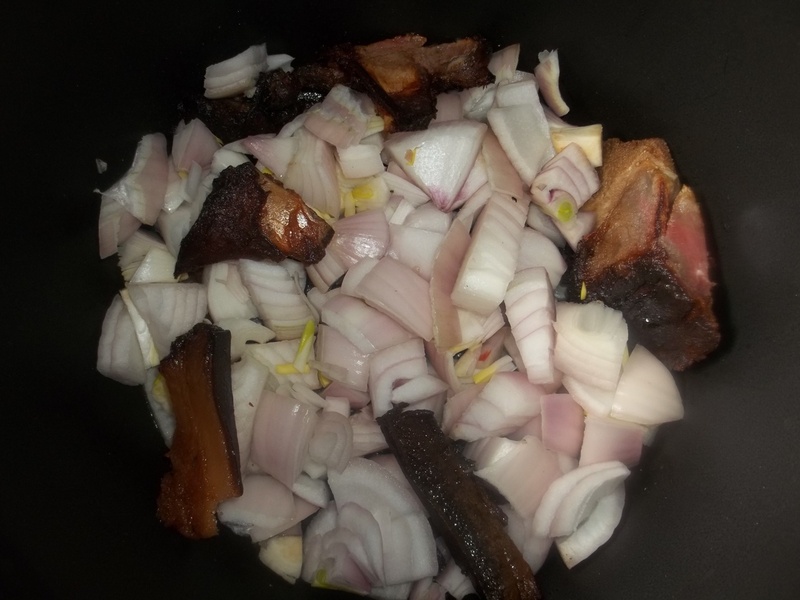 Preparation: Cut the bacon and add to a deep pot. Fry on both sides on a medium heat. Chop the onions and add to the pot. Continue to fry for 4-5 minutes on a medium heat, stirring occasionally. 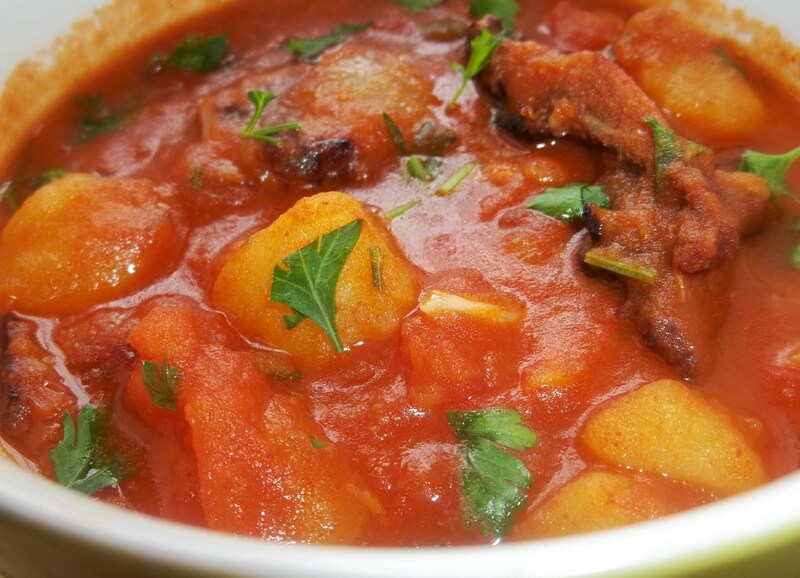 Chop the potatoes and add to the pot. 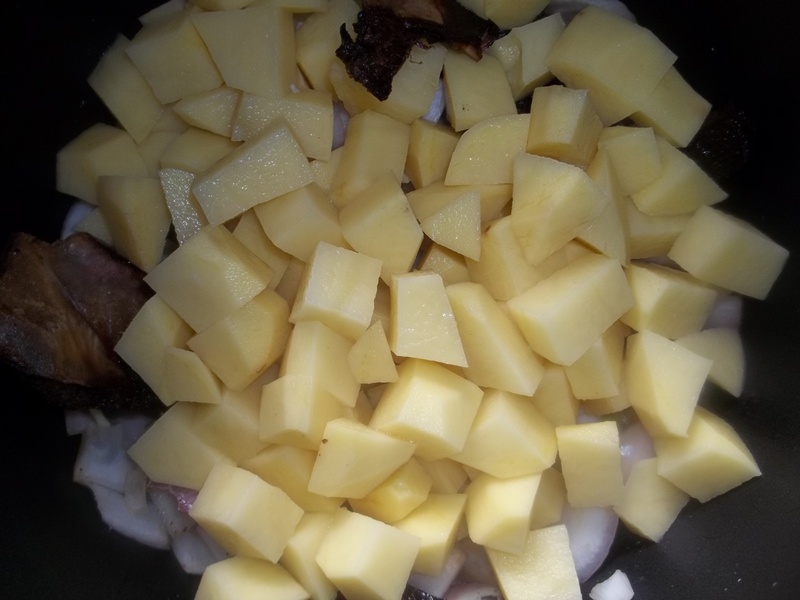 Continue to fry for a further 5 minutes, stirring frequently to coat the potatoes in the bacon fat. 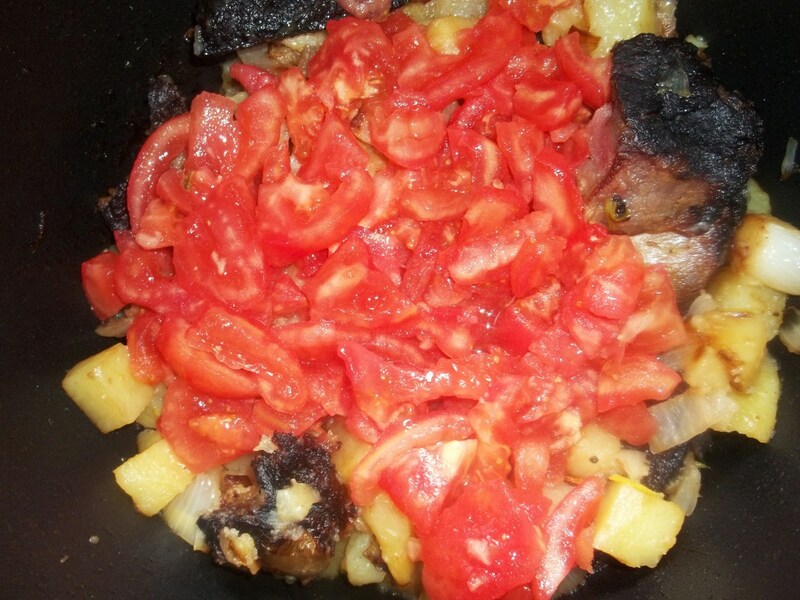 Chop the tomatoes and add to the pot. Stir and continue to cook for 3-4 minutes and then add 300 ml of water. Stir and reduce the temperature to low. 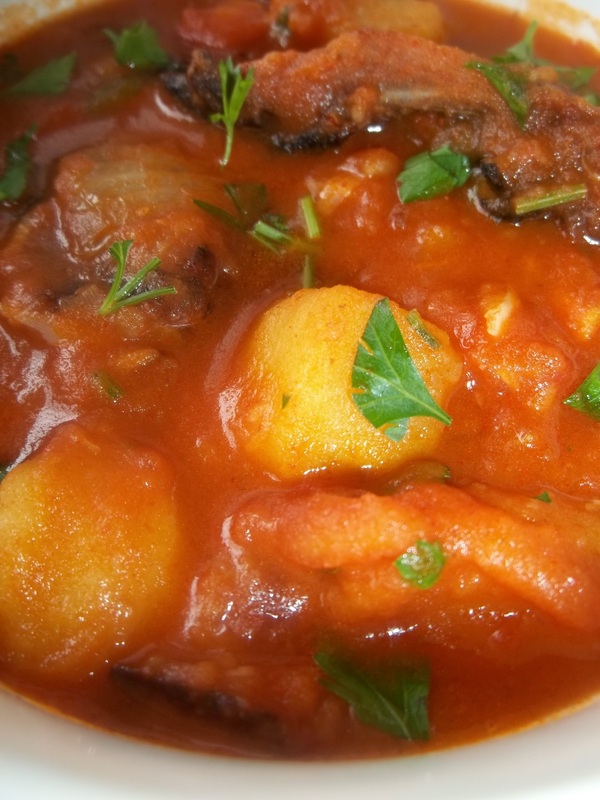 Stir occasionally and cook until the potatoes are ready. 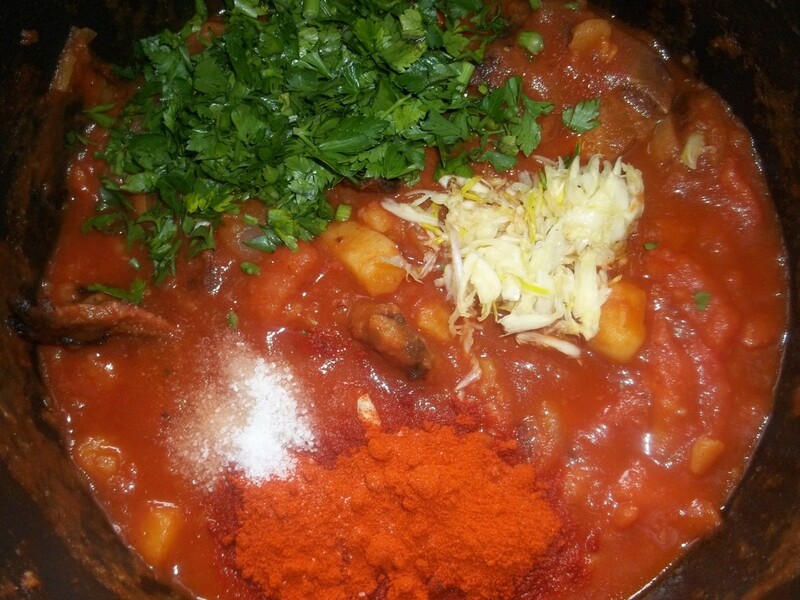 Chop the parsley and squash the garlic and add to the pot, together with the red pepper and salt. Stir and remove from heat.